The Apple TV has become quite popular since it was launched, but there are a couple of things many Apple TV users would like to see added to the platform. 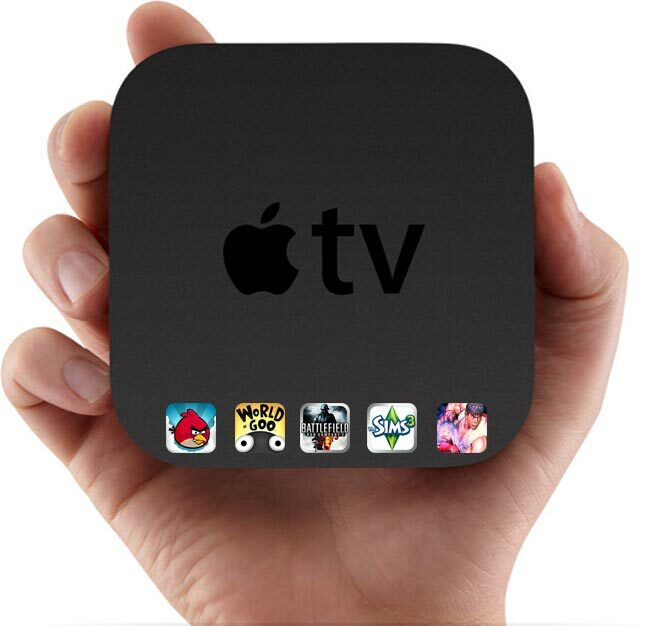 As the Apple TV runs on Apple’s iOS, it would be possible for Apple to add the ability to runs iOS apps on the Apple TV, this would bring a lot more functionality to the platform and also open it up to gaming. The guys over at Engadget have found something interesting in the latest iOS 4.3 Beta, which could means that the Apple TV will support gaming in the future. The references are for ATVGames and ATVThunder, the second one seems to point to some sort of controller, and it looks like they have also found some sort of reference to live gaming. This certainly sounds very interesting, and we would love to see apps and games come to the Apple TV, imagine playing Angry Birds on your 50 inch HDTV.